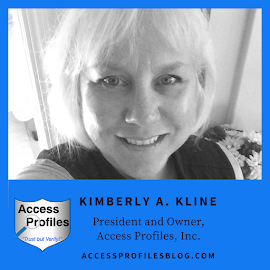 Access Profiles, Inc.: Social Media, Background Checks, and Company Policy: The Good, the Bad, and the Ugly! Very good advice Kavin! Blogging has really helped me, but you nailed it when you said client testimonials are gold! Thanks for sharing your thoughts and taking the time to read my article! Thanks for sharing your thoughts Royal Service. 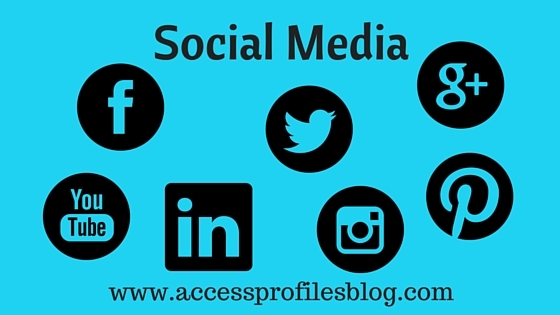 You are correct when you say to use the social sites that are more inline with your business and your customers! 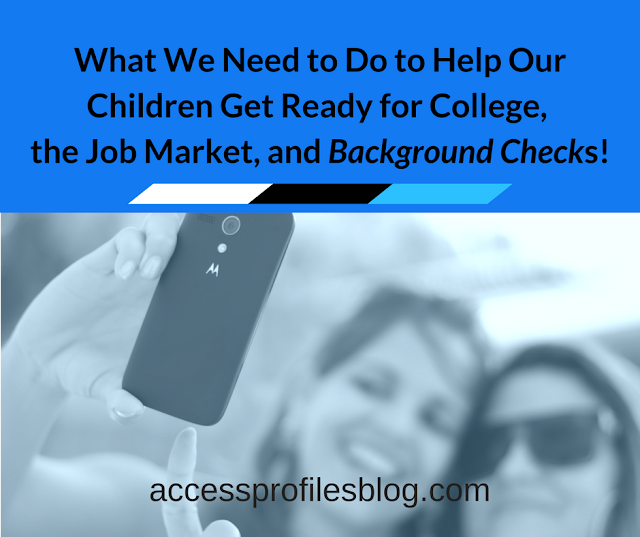 Possibly you've never considered using the Internet to run a background check. Neither did I until I tried it. But it's really not hard if you know how, and it's free. There is no doubt that you can run a "background check" online, but just because you can doesn't mean you should. The quality of the sources used and the accuracy of the results of these types of checks often come into question. 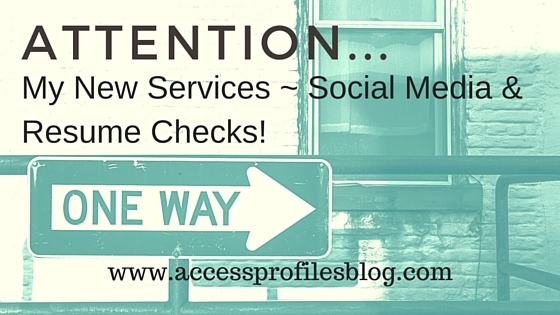 I recommend background checks that don't just rely on these online databases. Instead, they should verify anything found directly from the source. That means actual court records, employers, education institutions, etc. Only then can you have the most up-to-date and accurate results possible. Social media is a unique format as it helps you promote your content directly to your audience, and in turn it generates traffic via people sharing your content with others, and through SEO. Most definitely Smith! And it is also a great way to build reciprocal relationships with other businesses. That is why I believe in paying it forward and sharing the social media posts and blogs of to other businesses with my connections. Thanks for weighing in!